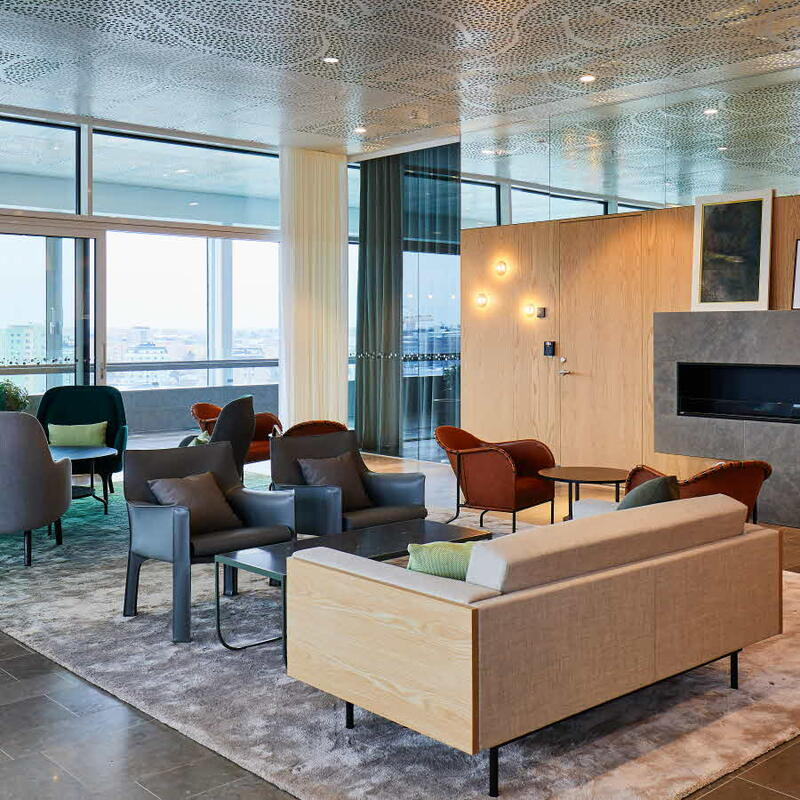 Sweden’s most attractive office 2017! 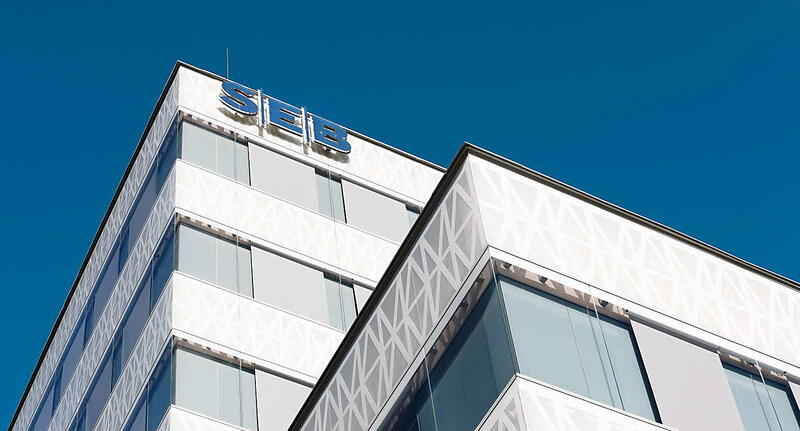 The SEB building is now a Solna landmark. As you arrive at Arenastaden, you are greeted by the beautiful facade. It’s impossible for anyone visiting Arenastaden to miss Sweden’s largest office building. 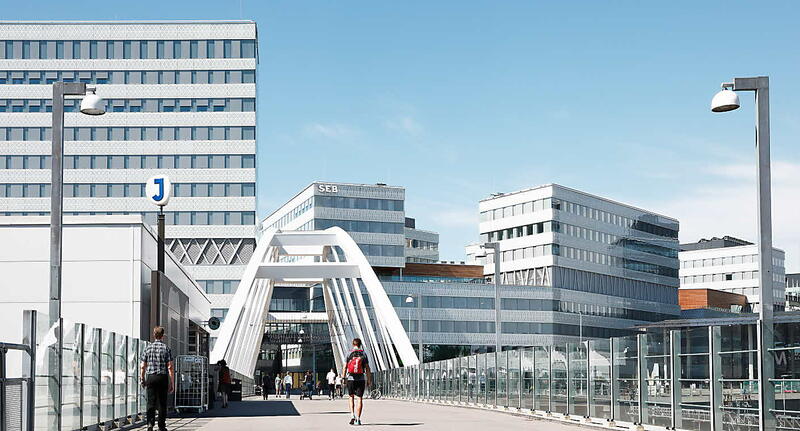 With its stunning white and grey facade, the building has become a natural part of Arenastaden. This is where SEB has chosen to locate its Swedish headquarters. The first 2,500 employees moved into the offices in May 2017. 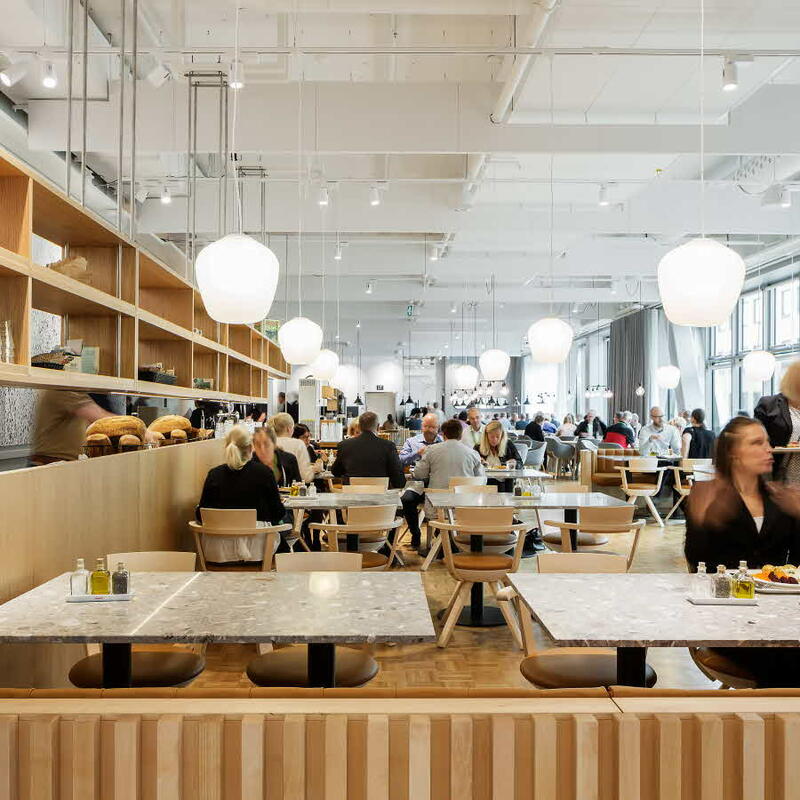 The remaining employees relocated to the building in 2018 and it now has around 4,500 workspaces, but also several dining areas and cafés, a service centre, auditoriums and a fitness suite. Like a little town within a town. A social space has been created in the atrium, with plenty of greenery. A mix of white and strong colours creates an attractive impression. The wonderful atrium encourages spontaneous meetings. The facades of the seven to 14-storey high buildings are clad in modern, stylish glass. The three buildings are connected both above and below ground; a solution that simplifies collaboration and spontaneous meetings between the bank’s various departments. The roof features both plants and solar panels. 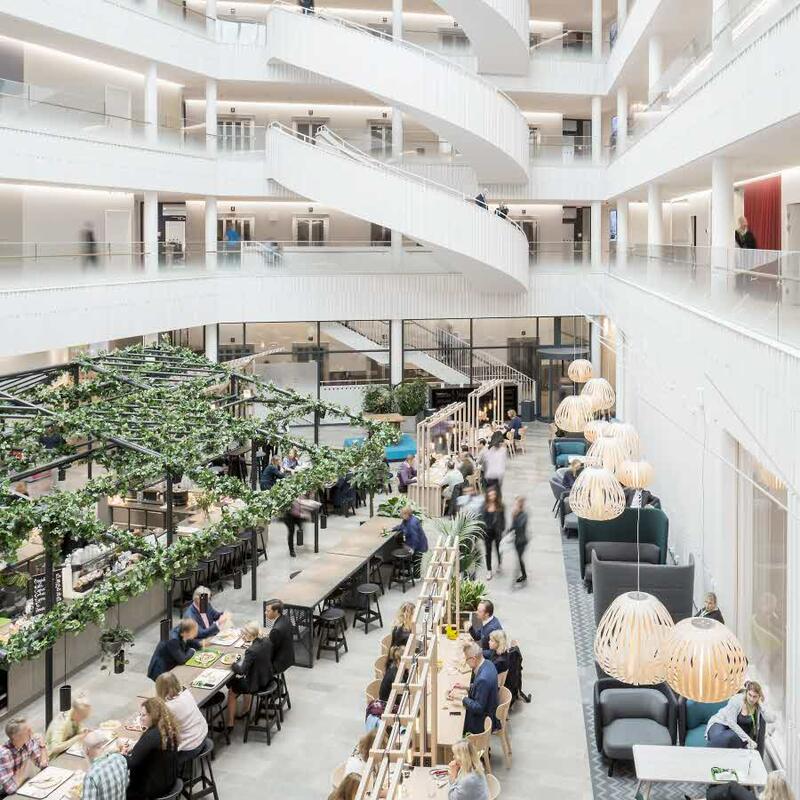 With its 97,000 square metres of BTA and 4,500 workspaces, the project is one of Sweden’s largest offices. However, the separation of the buildings gives the appearance of a normal city block. Movement in and around the buildings is a central theme when connecting and organising various locations in the open office layout with the city outside. Like a town within a town. Instead of constructing a single, large building, three entirely separate buildings have been created that together form two blocks. This helps maintain the flow of the district. The various structures are linked by footbridges to aid movement between the buildings and create cohesion between the different floors. The buildings have been designed as three clear-cut crystalline forms clad in glass. 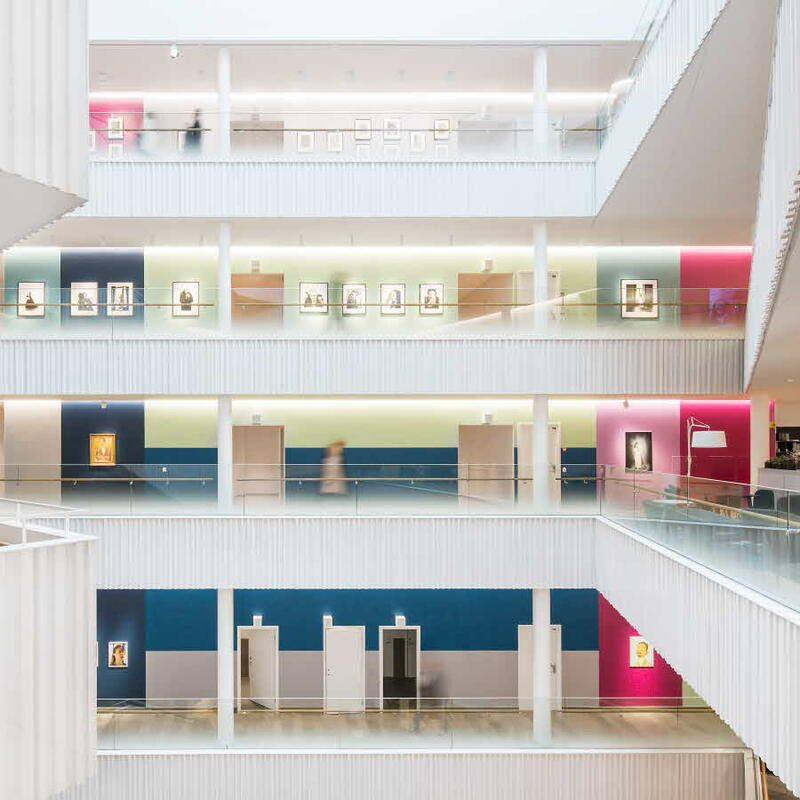 The bearing steel construction has been individually designed for each building and inspires the varying patterns on the facades, which are screen-printed in white. The glass reflects the surroundings in a thematic way, while the printed pattern lends a shifting shadow effect to the underlying facade. "The design is based on the concept that crystals and the glass give the facade a lightness, with both depth and transparency. The glass is characterised by a pattern that combines to form an overall concept." 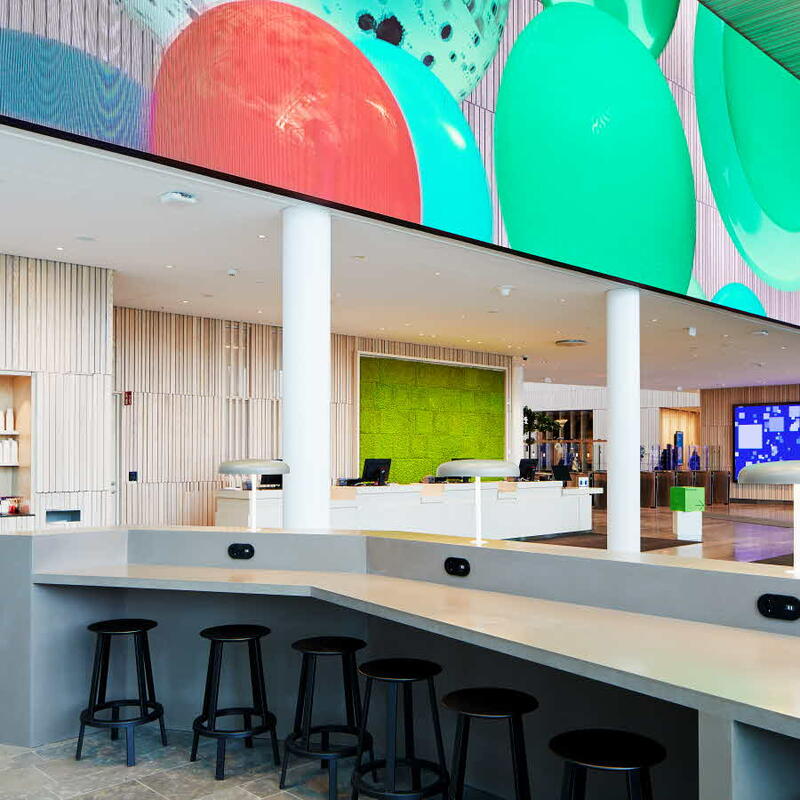 The building is environmentally certified to BREEAM Excellent standard, with low energy consumption, in-house electricity production via solar panels and a bicycle parking area. The buildings are linked together above and below ground. It is also possible to walk between the roofs, which have landscaped parks featuring a wealth of different plant varieties. 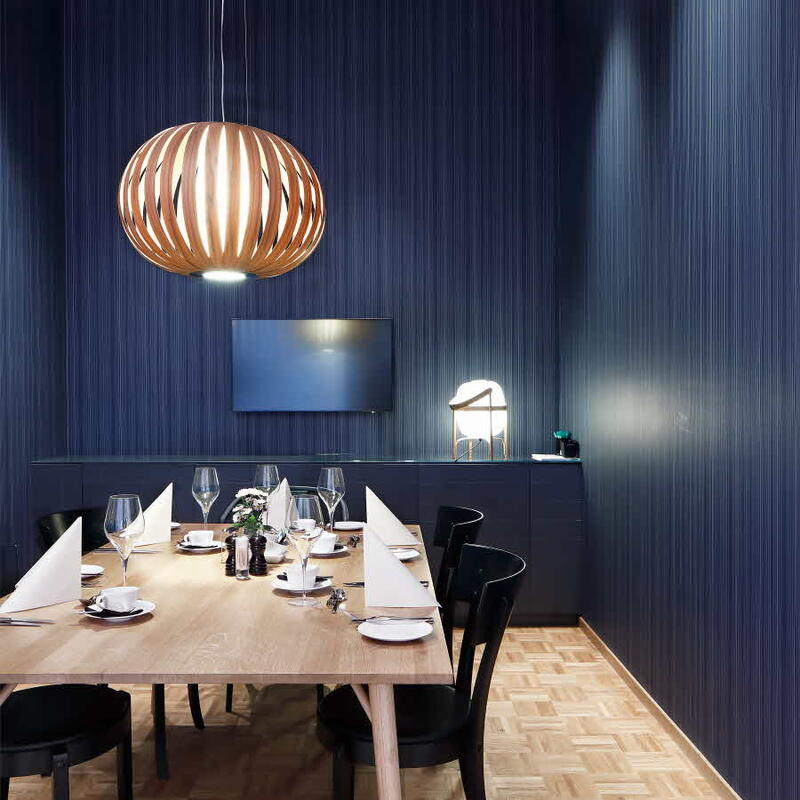 We’re extremely proud of the beautiful offices we’ve created together with SEB. 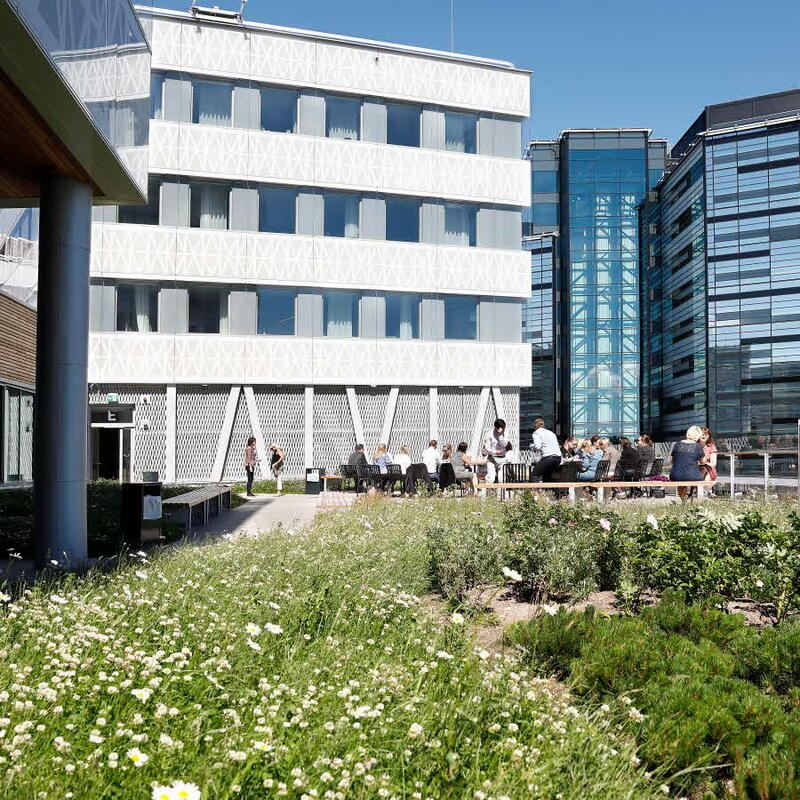 Offices where the focus was on sustainability and meeting places for modern working life. 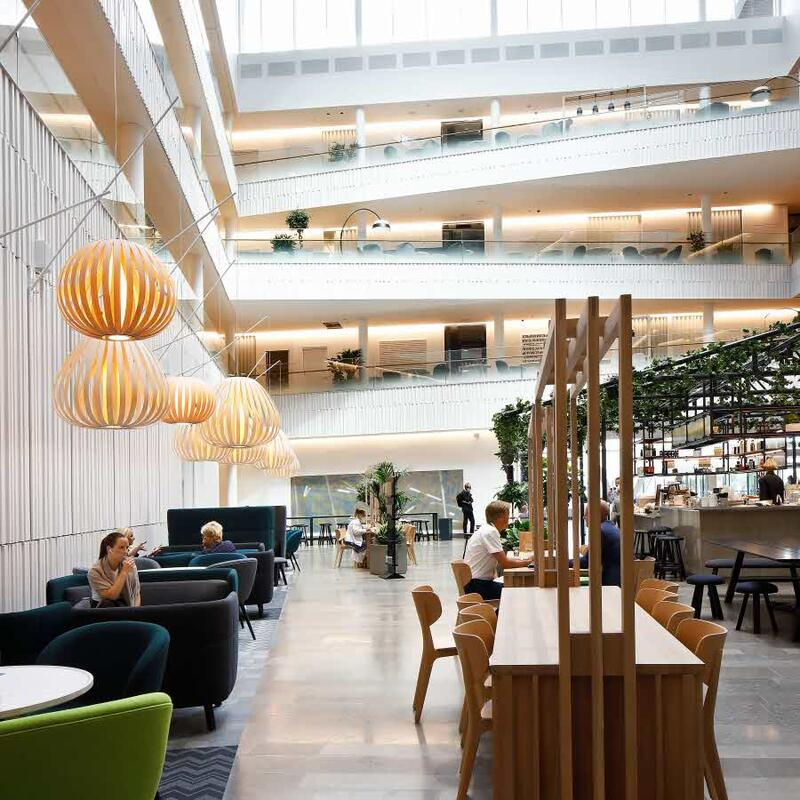 In 2017, the building was voted ‘Sweden’s Most Attractive Office’, and the feedback we’ve had is that the employees are happy with their new home in Arenastaden, which is great to hear. Several atriums where employees can come together and hold external meetings. 600 meeting rooms with a variety of colours and designs. Several dining areas and cafés. Light, welcoming reception with waiting areas. Several lounge areas for SEB customers. Welcome to magnificent daily living! Today it’s hard to imagine how the district looked previously. Before Mall of Scandinavia, Friends Arena, the contemporary office buildings and the vibrant urban scene. 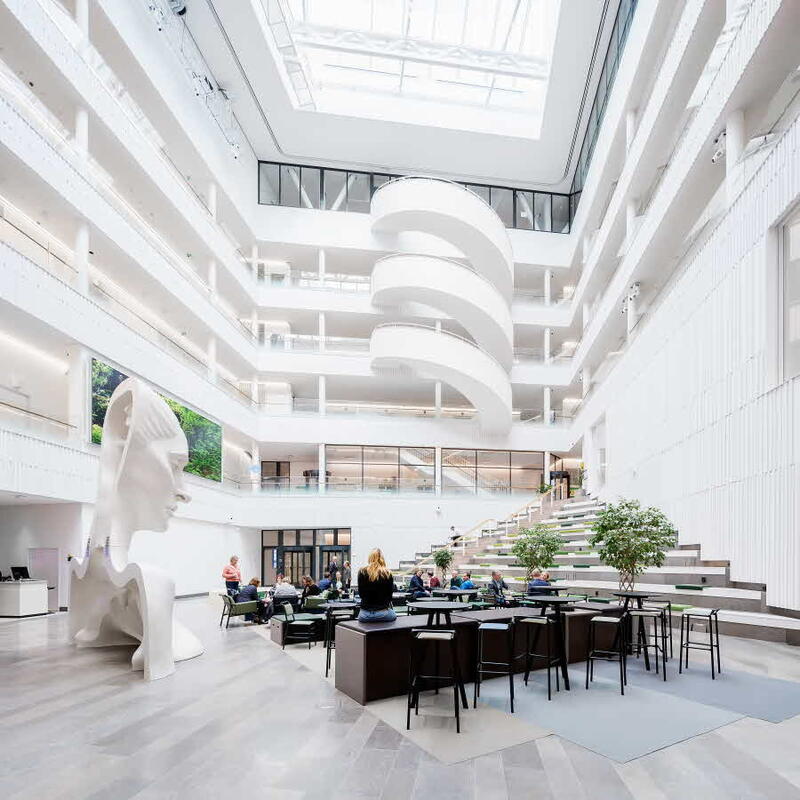 Arenastaden is now a fully sustainable district with top quality housing, offices, hotels and communications.